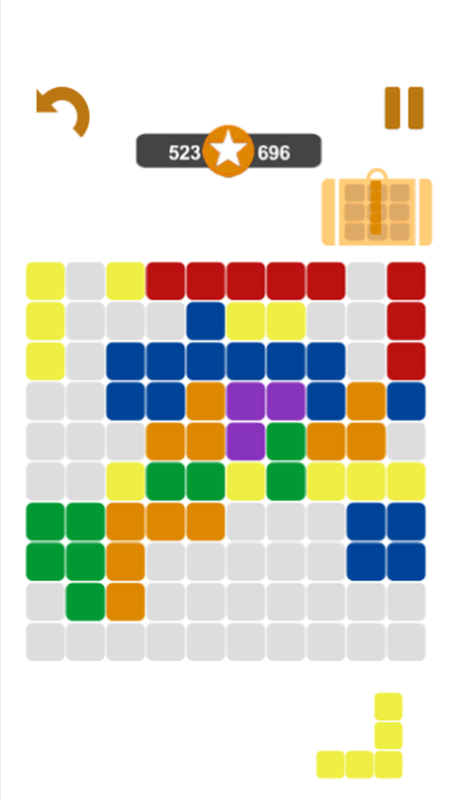 10/10 Ultimate Blocks Puzzle ! An exciting game that will not leave anyone indifferent! Game is playing on a 1010 desk. 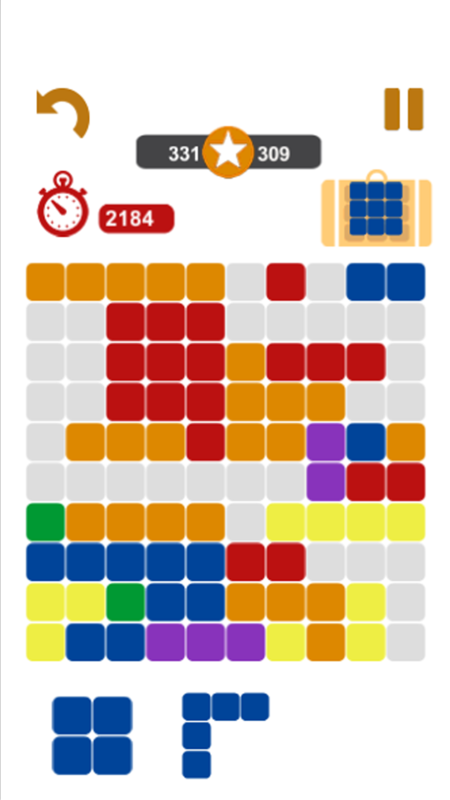 This puzzle is a great way to train your attention in any free short period. Just drop blocks in order to fill whole lines on the 1010 desc both vertically and horizontally. No color match! 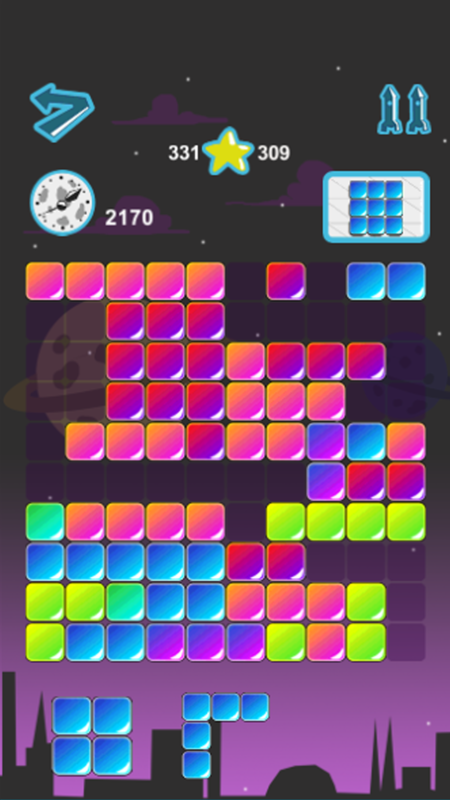 Two game modes : simple block puzzle and with time limit! You can stop the game at any time. The game will continue when you start it next time. When you have not enough space on desc put one block in the bag to use it later! Game ends when you have not enough space in the desk and bag. 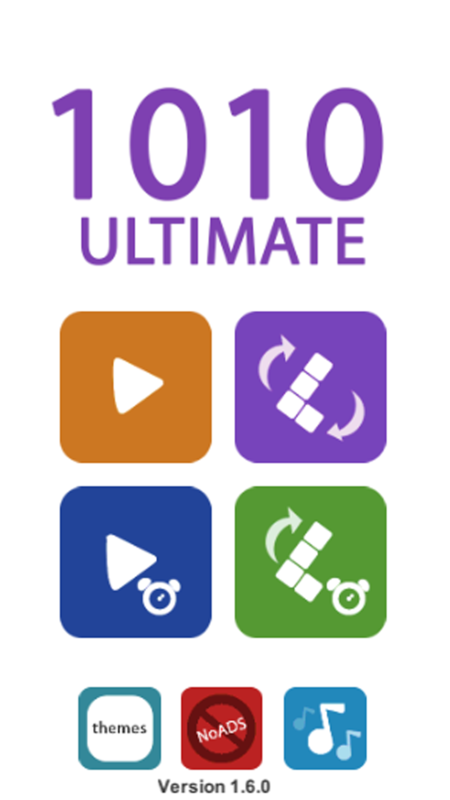 Enjoy 1010 Ultimate Blocks Puzzle Game!